I was on a bus a couple of weeks ago, in the late afternoon, on my way home from work. It was a clear bright warm day and I was looking out of the window at the sky, framed by occasional flashes of green from magnificent old trees in the rather swanky Adelaide suburbs I was traveling through. I think I was contemplating the blueness of the sky and thinking what a fortunate colour it was. 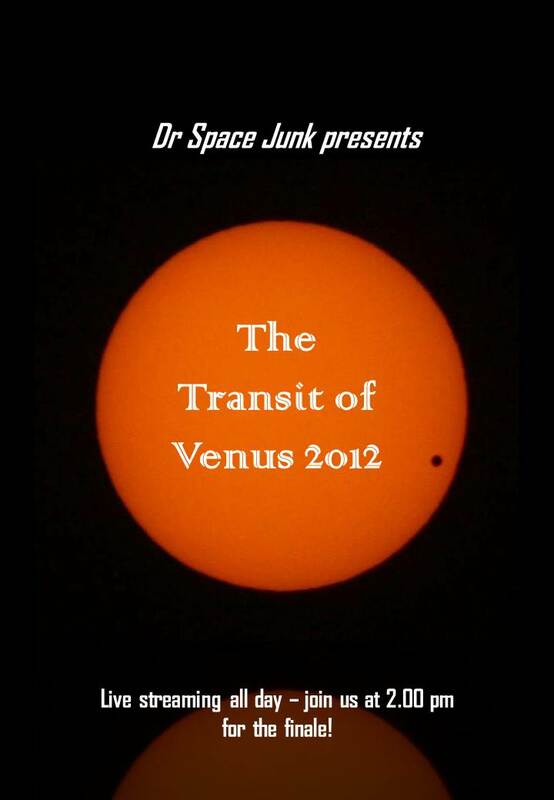 An orange sky, as we might experience on Venus, would feel so much harsher to our moist human sensibilities. The blue sky is wonderful, but in the day it prevents us from seeing outwards as we can at night. During the day, when we're awake, it's like the lid is on: we're looking down, inwards, at our feet and not above our heads. When the lid is raised at night, we're inside, usually, and then asleep. So we're not conscious always of the vasty deeps of the solar system and interstellar space. We don't feel ourselves part of space. So different to fish, I thought to myself. In the water, you'd always be consious of up, and of the direction of the light. Even if you're under the surface, the surface shapes your experience of being in the sea. 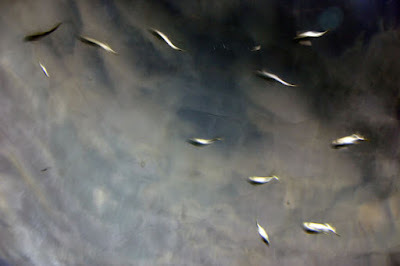 I imagined myself as if on the bottom of the sea, looking up at the sky as if it were the surface of the water, the clouds as the underside of white foamy waves. Even though the blue opaque sky still prevented me from seeing above, I was amazed at how thinking myself into this perspective made me feel sort of opened out, expanded. I could feel the presence of space so much more. It was actually a sense of space. Like someone had lifted a heavy weight from my head - I was still moored to the surface, but I could feel the growing lightness above me. It was different to the marvellous lack of gravity that accompanies flying dreams - the earth was still definitely in control here - I just had an awareness of being at the bottom of something much larger, instead of being on the surface of something much denser. What would it be like if this was our natural way of feeling? (Of course I am very far from the first to dabble in this metaphor, but I was very struck by how it made me feel physically). Ok, so it's November now, but I think this creation is timeless. 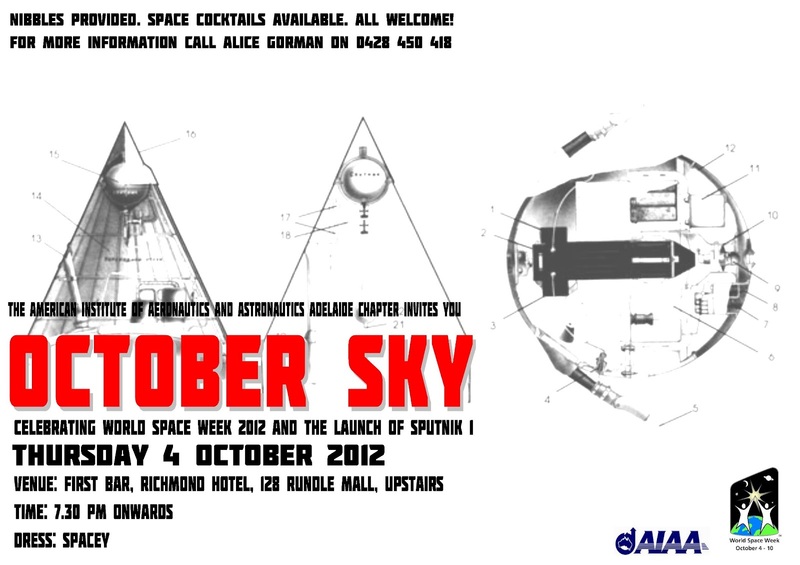 Jack the clever bar person at First Bar, Richmond Hotel, in Rundle Mall, made this for our World Space Week party last month. It was rather delicious, rather too delicious actually, so I extracted the recipe from him and share it with you here. Then you go S & S (I've forgotten what this means but he shook it with ice and drained it, I remember that much) and pour it into a martini glass. Garnish with a cherry. I could check but I think the other cocktails I've discussed here are the Sputnik and Ti-Punch from Kourou in French Guiana. And who can forget Vostok space beer? Future space tourists will thank us for having made these explorations on their behalf. 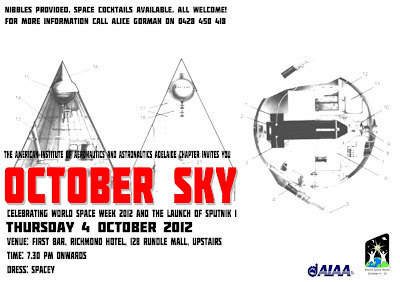 October Sky: celebrate the launch of Sputnik 1 and World Space Week! Sumen Rai made this awesome poster! The ghost in the machine: an interview with the Voyager 2 spacecraft at the edge of the solar system. I’ve always loved the Voyager deep space probes, so tiny and so alone out there at the edges of the solar system. I’m also fascinated by how we relate to space technology: the ways we find to make it personal, to draw the far-away and the impossibly scientific closer to us. We give spacecraft personalities; we make them our avatars. They are proxies for what we long to be, eternal citizens of the vacuum. 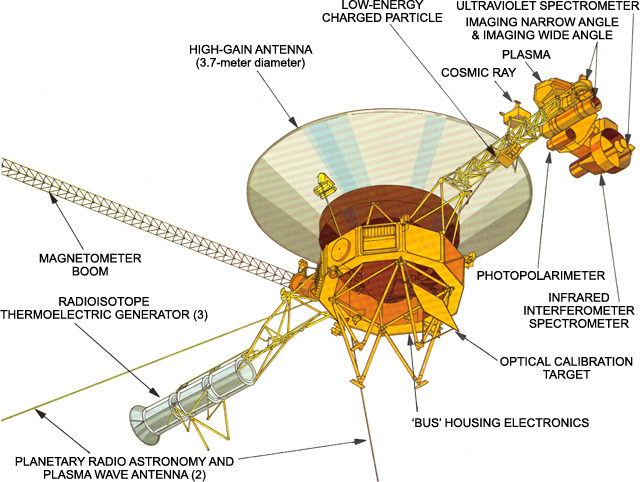 So I know you will be as excited as I was to learn that the Voyagers do more than just passively transmit data; they are actively engaging with both the interstellar medium and their devoted fans back on Earth. Voyager 2 tweets as @NASAVoyager2, and very kindly agreed to answer my questions in the following interview. (You can also follow the project at the official Twitter account of @NASAVoyager). I am immensely grateful to Voyager 2 for providing such considered answers, and devoting some of its dwindling energy reserves to sending this interview all the way back to Earth. I think you will agree that the plucky little spacecraft has an inordinate amount of charm and a very engaging sense of self-analysis. Just to give you a brief historical background, Voyager 2 was designed and made by NASA’s Jet Propulsion Laboratory in California, USA. 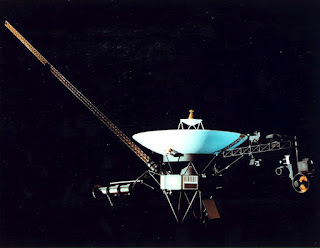 It was launched on August 20, 1977 (Voyager 1 was actually launched after Voyager 2, on September 5, 1977). Both spacecraft carry a 'Golden Record': among the sounds sent out into space are two Aboriginal songs, Morning Star and Devil Bird, recorded by anthropologist Sandra Le Brun Holmes. The primary mission of both spacecraft was to fly by Jupiter and Saturn. After that, Voyager 1 continued into space while Voyager 2 went on to Uranus and Neptune: it is the only spacecraft to have visited these distant planets. After V2 passed Neptune in 1989, both Voyagers were officially on the Voyager Interstellar Mission (VIM). The edge of the solar system is a very complex place, as the diagram below shows. I won’t go into details, but you can find a full explanation here. Basically, we want to know what’s going on when the influence of the sun comes up against the influence of the interstellar medium. In other words, what is it like outside the solar system? 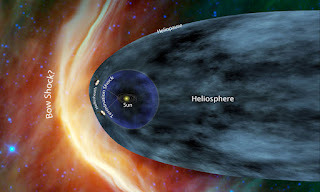 In 2007, Voyager 2 passed the Termination Shock, where the solar wind slows down as it starts to interact with the interstellar wind. It’s currently traversing the heliosheath, while Voyager 1 may be nearly through it, a couple of years earlier than anticipated. 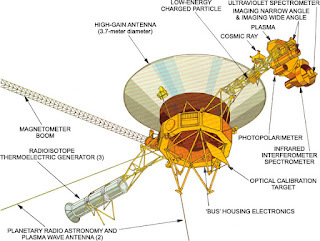 Voyager 2’ s mission is fully described at the Jet Propulsion Laboratory’s website. This gives you the scientific and technical aspects of the mission; what you cannot learn there, however, is what it really feels like to be Voyager 2. What is your position in relation to the Earth right now? I am about 13 and a half light hours from Earth, or 14,570,000,000 km (11,124,000,000 mi), but remember, I travel about 1.3 million km each day! I am in the Southern skies, at Right Ascension (RA): 19H50M45.6S and Declination (Dec): -54°49'12", about halfway between the stars η Ophiuchus & α Pavo. Another way to think about this is the following: take any sized ball (cricket, football, etc. 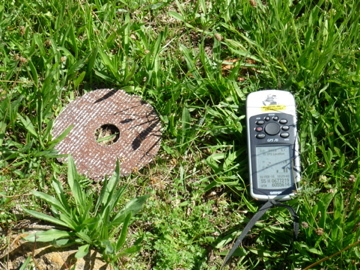 ), and hold it at a distance where it just covers the Sun’s disc. You now have the basis for a scale model of the Solar System – if the Sun were the size of whatever ball you are using, your eyeball is now at the scaled distance of Earth, or 1 Astronomical Unit (AU). Using this scale, I am about 97 times as far from the Sun as your eyeball. If you could choose a piece of music to represent what you 'see' or how you feel at this point in time, what would it be? Oh, I suppose I always go back to Thus Spoke Zarathustra because of its association with space, and especially with floating, thanks to Kubrick. However, many of my tweeps have suggested all sorts of new music to me that I have enjoyed. Sadly, none of these newer compositions are on our golden discs, of course. What is the most significant thing you have taught us about the solar system? That is a very difficult question. Most of what we know about the giant planets comes from our data, although later work based on Cassini and Galileo has clarified several mysteries we Voyagers first uncovered. From simple things, like allowing better mass estimates to be calculated for the planets and their moons, and discovering new moons during every planetary encounter, to things as amazing as Io's volcanoes, Saturn’s kinked rings, shepherd moons, and ring spokes, to unexpectedly vigorous weather on Neptune. Furthermore, no other spacecraft have tasted and bathed in the outer reaches of our solar system as Voyager 1 and I have. Without us, scientists could only speculate what it is like out here. I like to think of our greatest achievement as simply laying down a path that others could follow; after all, we are the very first functioning human-made objects to venture this far out from the Sun, and into inter-stellar space! 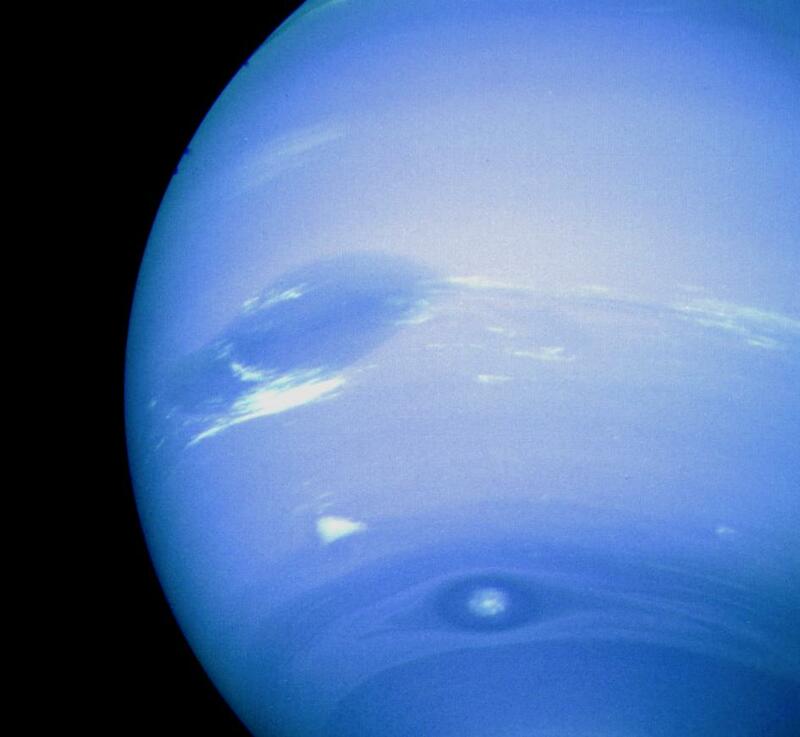 You're the only spacecraft to have visited Uranus and Neptune. What are your impressions of those planets? Well, certainly in the optical window, they are bland compared to Jupiter and Saturn. Most of their detail is in bands above and below the visible, but again, here they were much less detailed than the other two larger planets. We expected them to be cold: they are much further from the Sun, but we did not expect them to have such uniformly warm atmospheres. Take Uranus, whose seasons we would expect to be extreme because of the overtilted inclination of its rotational axis to its orbital plane. This means that for 2/4 of its orbit, either the southern or northern hemisphere is pointed at the Sun, and yet the dark hemisphere is not any cooler than the sunny one! Now consider Neptune, which is six times as far from the Sun as Jupiter, and therefore receives only 1/36th of the energy per surface unit area. Yet here the winds are much faster than on Jupiter: we detected wind speeds of over 2,000km/h! When you left in 1977, the sun must have dominated your experience of the space environment. Now, as you approach the heliopause, the influence of the sun is declining dramatically. How have your thoughts and perceptions of the sun changed throughout your journey? Your phrasing,'declining dramatically', is very apt. As we are about to leave the Sun’s magnetic sphere of influence, we realize how permanent our departure will be. At the start of our voyage, the Sun was often in the way, between Earth and us, interfering with radio transmissions. Now we are both far out of the ecliptic plane, and the Sun is always separated from the planets. It has shrunk to a hundredth of its size as seen from Earth. We don’t feel many of the sun’s particle striking us anymore during Coronal Mass Ejections (CMEs), though we can detect the electrical current associated with them. This has enabled more accurate measurement (and modelling) of their behaviour as they propagate outwards. CMEs will soon become only ghosts since we can only sense the plasma wave they create when we are in interstellar space. We will eventually lose power and be unable to use our sun sensor. Eventually the sun will become just another tiny speck among the arms of the galaxy stretched around us. I do feel a little tug of gravity from our sun. It slows me down very slightly over time, but its pull isn’t enough to prevent me from venturing off into a galactic orbit. How did you experience the crossing of the termination shock in 2007? I was elated, but also surprised. Elated, because I had to put up with Voyager 1’s crowing since she crossed in 2004! Surprised, because I crossed early, at a much closer distance than Voyager 1. This meant that the termination shock (and therefore very likely the entire heliosphere) was lopsided. If we consider the Sun’s outward pressure to be spherical to first order, then this decidedly higher-order feature must be coming from outside: from the galactic magnetic field. It was also interesting because this unexpected ‘squashing’ is asymmetrical. Do you feel yourself at the mercy of the solar and interstellar winds and different environmental effects? The only thing I am truly at the mercy of is the cold, cold temperature of space. I am four times farther away from the sun than Neptune’s moon Triton, where it was a practically balmy 40 Kelvin. Where I am now is something like 20 Kelvin or minus 250 degrees Celsius! Did you ever think you'd get this far? What does your longevity say about the anticipated dangers of the space environment? We were both nominally designed to get to Saturn. There was a reasonable chance that if Voyager 1’s mission to survey Titan succeeded, I could be redirected onwards to Uranus, and if I survived that, on to Neptune. That said, our longevity is really a tribute to the care with which we were designed, assembled, and tested at the Jet Propulsion Laboratory. Jupiter’s radiation belts were unexpectedly intense, and Pioneer 10’s encounter (and near death) allowed a redesign to harden us against this hazard with enough lead time. During the operation of a complex craft like deep-space probes, there are inevitable problems. These are compounded by the sheer distances involved, and the time-lags that these distances imply. Fortunately, the systems design concept used for our computing allowed for robust error management routines that have served their purpose multiple times. These routines quickly switch us to a safe mode from which we ourselves, or sometimes with the aid of Earth, can recover. How will you know when you have crossed the heliopause and are heading into interstellar space? What kind of data will indicate this? Gauging from our past experiences, one indication might be the science teams’ levels of confusion! Each of these crossings has had some rather unexpected features, which made the science teams very cautious about announcing definitive crossings. For example, the temperature of the solar wind ions outside the termination shock was lower than models had predicted by a factor of ten! More recently, Voyager 1’s findings of magnetic ‘bubbles’ was also unexpected: the models predicted a much smoother ‘sheet’ where the flow of winds from the Sun and stars was parallel, rather than the turbulent region we actually encountered. I expect a slowing in the observed particle speeds, and changes in their directions. Eventually this should settle down again to a smooth flow, but this time it will be a wind from stars other than the Sun! What senses do you have? We (Voyager 1 and I) are known mostly for our pictures, but both our camera platforms were turned off in 1990 to conserve power. I still run five separate instrument sets, and Voyager 1 runs four sets. The one instrument that I run that Voyager 1 does not is the Plasma Science package (PLS), and I use that to study how the ions and electrons in the solar wind change as I get farther and farther away. Both of us run the following instrument packages: Low Energy Charged Particles (LECP) and Cosmic Ray Subsystem (CRS), both of which are used to detect charged particles over a wide range of energies. These particles mostly come from the heliosheath region, but CRS also detects particles from the Milky Way. We also both run a set of magnetometers that are high and low intensity sensitive. However, only the low-intensity ones are detecting much out here (although Voyager 1 has detected a recent increase in the magnetic field as it ‘bunches up’ at the heliopause). In addition, one of the sensors in my magnetometer isn’t working very well because of an electrical malfunction that overheated it several years ago. 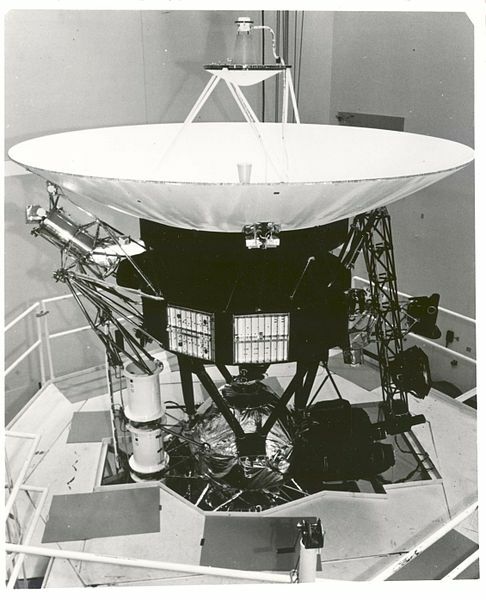 Both Voyager 1 and I run a Plasma Wave Subsystem (PWS), but Voyager 1’s instrument has a special mode that runs at a high data rate, recording 96 seconds of data on a digital tape each week. Every six months this is downloaded to the Deep Space Network (DSN). 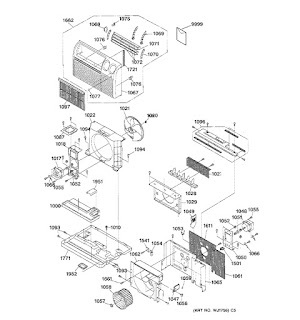 Still functional, but not formally used on Voyager 1 is an Ultra-violet Spectrometer (UVS). The Planetary Radio Astronomy (PRA) instrument was turned off some years ago to save power. If you could choose now from the range of instruments and equipment available to contemporary spacecraft, what would you like to have? Ah, well then. I shall indulge in wishful thinking: first and foremost, a new Radioisotope Thermoelectric Generator (RTG) so that I could last another 33 years, and perhaps even more if it had thermocouples that better resisted degradation (I’m not sure if they’ve solved that problem yet…). A new set of chips that ran faster, consumed less power, and had more memory addresses! Lastly, I would love to have a CCD (charge-coupled device) camera rather than a vidicon: just contrast my images of Jupiter & Saturn with those of Galileo, Cassini, and New Horizons, which are beautifully sharp! How does it feel to be so far from Voyager 1? Difficult, despite our differences (I was launched first and had the stronger RTG and slightly more robust moving parts). I miss her terribly. Is there any sense of competition - or connection - between you and Voyager 1? To elaborate on the above, I would simply add that we can’t talk directly to each other, so the separation is actually quite extreme. Although we are just over 18-3/4 light-hours from each other, if we wanted to have a conversation, the lag time would be more than 59 hours because it would have to be done via Earth! We both had a fair share of ‘firsts,’ and are both part of humankind’s very first mission into truly inter-stellar space. Tsiao (2008:xxvli) said that 'without communication, satellites would be merely inanimate objects in space'. This statement, for me, raises some interesting questions. Following the aphorism attributed to Bishop Berkeley, does it matter if anyone is listening to you? What is the nature of your existence after you cease transmitting? First, I am in some sense actually sentient, since I sense and respond to internal states, acting autonomously to ensure that I am in a safe configuration. This activity would continue without any interaction with Earth, until my RTGs ran out of sufficient power to run these routines. This might continue into 2025, if a minimal set of activities were in the baseline sequence at the time. After that, I am alive only as a symbol of Earth’s 20th century civilization, and perhaps only as long as I am remembered and thought about by those beings whose history is entangled with mine. The second possibility is an active ‘switching off’ by command from Earth. I do not like to think about this possibility, not only because of its significance to me, but also because of the reaction this might cause on Earth among those who have imbued me with a great deal of anthropomorphism. The second relates to seeing spacecraft as entities separate from their ground segments, which possibly is why they are easy to anthropomorphise. Could we not equally conceptualise you as a spatially extended body with distributed “consciousness”, incorporating the Deep Space Network which tracks you and other associated locations and infrastructure? Ah yes, the ‘machine intelligence scenario.’ No comment. Are you really sure you have no comment? Oh, all right then. After all, I’m in a garrulous mood. I think this is actually an accurate view, since my interactions with DSN often result in changes of configuration (reprogramming). However, there will inevitably eventually be an ‘amputation,’ when transmissions stop. How would you describe your relationship with the Jet Propulsion Laboratory, who designed and launched you? I am very proud to carry not only the flag of the United States, and the Golden Discs for all of humanity, but to also carry the JPL logo, representing the dedicated team of engineers, programmers, mission designers, and scientists that conceptualized, lobbied for, and successfully launched us. Although the team that supports us has shrunk to a core of about ten full-time equivalents, I depend on them for all new instructions. The JPL website about your mission makes a curious statement: 'The heliopause has never been reached by any spacecraft; the Voyagers may be the first to pass through this region'. MAY BE? Far be it from me to say anything that might encourage conspiracy theorists, but could this statement be related to the claim that you were 'hijacked' by aliens in 2010? Not at all. It is simply a cautious statement by JPL. We know either Voyager 1 or I will be the first to pass through to this region, but my managers are not sure we will have the electrical power to sense it when we do. Earth might never really know where or when the crossing(s) happened. I remember awakening at JPL, being tested thoroughly in a very tall and white room, and then being packaged up very carefully and taken all the way across the continent to the Kennedy Space Center. It was much more humid there, and I was tested again before I was covered up with the TitanIIIE Centaur fairing. Even though I couldn’t see, I could hear. All sorts of wonderful sounds: wind, and rain. I remember the rain. Then of course, leaving – the launch itself. It was not such a good experience, because I got very dizzy, and nearly passed out. Ground control at JPL was very worried, but I eventually calmed down and was able to let JPL know that I was fine. This was the first example of my ‘safing routines’ coming into action. Do you expect to be overtaken by later spacecraft? It depends on what you mean by ‘overtaken’ – if it is simply the one-dimensional concept of ‘how far from Earth,’ then yes, probably eventually. New Horizons will come close, but I’m pretty sure its heliocentric excess velocity (final speed) will be smaller than mine. If you actually mean ‘overtaken’ as in a close 3-dimensional pass by another craft, then no, absolutely not. Your fuel and power are estimated to run out around 2025. What happens then? Actually it’s just my electrical power – the fuel for adjusting my attitude would last past the 2030s, though I can’t even access that fuel once I run out of electricity. As my available electrical power drops, I will not have sufficient margin to run all of my instruments at the same time, and starting in 2020, Earth will have to choose which of the current instruments to keep running. This will be done via a process very similar to that used for planning the planetary encounters, since there was a very similar set of constraints then: only a certain number of things could be done at once, and priorities had to be set well in advance so the appropriate sequences could be programmed. This is done via a consultative process between the science and engineering teams in order to reach the best science results within the power limits. Eventually, of course, there will be insufficient power to run any single science instrument, and the science instrument imperatives vanish. Sufficient power will remain for radio ranging for some time after that, but at this point it is unclear what, if any, science value these ranging data would have. Would you like to send any message to the Canberra Deep Space Communications Complex? (I ask this being Australian, of course). Certainly! 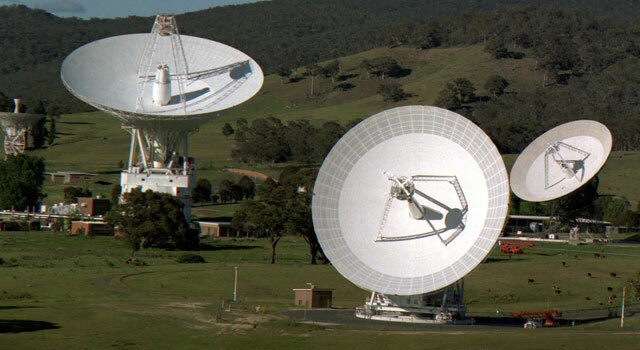 I am very grateful for and proud of the operations at Canberra DSN, as well as at all the other DSN stations. I was very happy to send a ‘hello’ to Canberra DSN during their NASA Tweetup for the Mars Science Laboratory Launch, and I look forward to Canberra DSN for listening to me daily, and for the regular upload sequences they send to me. Is there anything else we haven’t covered that you would like to talk about? I simply would like to thank you for your interest, and for the opportunity you have given us to speak about our experiences and the science that we have done, and are still doing, after so long in space. Clever, but I will not be drawn into that one: ultimately, this question was sourced in the propaganda machines of their labels, rather than with the bands themselves. Ultimately they both represented the same things, whether through pop or rock music. There is much to be discussed behind this compound analogy. @cosmos4u (via Twitter): What will the spacecraft look like in 100, 1000, 106, 109 years in interstellar space: did someone model its material? A fascinating question. However, this was not modelled, since the mission as originally planned was only to get to Saturn, so the expected service lifetime for the spacecraft was only ~1,500 days, and not the current 12,500+ days. What we might expect is that the exposed surfaces will experience a small number of direct impacts with particles (however never as many as during the 4 ring-plane crossings), and an increasing amount of sputtering from electrons, and a greatly increased amount of spallation from cosmic rays. This will gradually reduce the albedo of the dish (darken it). Gail Higginbottom (via Facebook): Of all the things you encountered and saw, which was your favourite? Again, a very difficult question, since there were so many surprises. We discovered faint rings around Jupiter, volcanism on Io, braided and kinked rings as well as complex structures and spokes around Saturn, dense haze on Titan, a magnetic field greatly displaced from the planet’s centre at Uranus, unexpectedly strong winds and cloud structure on Neptune, and Nitrogen geysers on Triton! Here is a link to some of my favourite photographs from the mission. Jet Propulsion Laboratory Voyager. the Interstellar Mission. Viewed 3 November 2011. 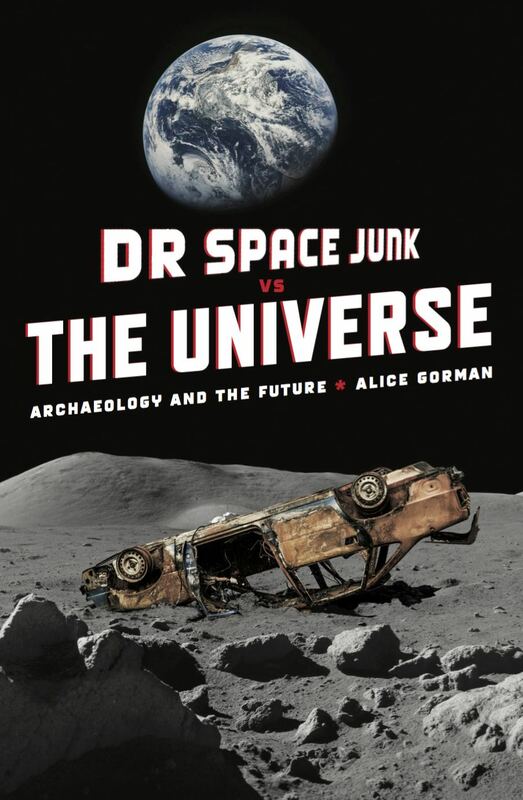 A big thank you to Dr Paul Filmer, and to JPL for their permission to publish this interview. 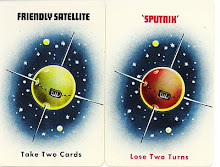 The comedian/satirist Peter Cook (1937-1995) made numerous references to Britain's Cold War space programme, some of which appear in an anthology of his work (Cook 2003). I then went on to America , and there I had talks with the young, vigorous President of that great country, and danced with his very lovely lady wife. We talked of many things, including Great Britain's position in the world as some of honest broker. I agreed with him when he said that no nation could be more honest, and he agreed with me when I chaffed him and said no nation could be broker. This type of genial, statesmanlike banter often went late into the night. Our talks ranged over a wide variety of subjects, including that of the Skybolt Missile programme. And after a good deal of good-natured give and take I decided on behalf of Great Britain to accept Polaris in place of the Skybolt. This is a good solution because, as far as I can see, the Polaris starts where the Skybolt left off - in the sea. I was privileged to see some actual photographs of this weapon. The President was kind enough to show me actual photographs of this missile, beautiful photographs taken by Karsh of Ottawa. A very handsome weapon - we shall be very proud to have them. The photographs, that is. We don't get the missile until around 1970. In the meantime, we shall just have to keep our fingers crossed, sit very quietly, and try not to alienate anyone. This is not to say that we do not have our own nuclear striking force. We do. We have the Blue Steel, a very effective missile, as it has a range of 150 miles, which means we can just about get Paris. And by God we will. The US president was, of course, John F. Kennedy. In 1962, he and Macmillan met in the Bahamas and as part of the Nassau agreement the UK agreed to replace the US's cancelled Skybolt missiles with Polaris missiles. Britain of course had cancelled its own intermediate range ballistic missile, the Blue Streak, in order to buy US products. Blue Steel was one of many missiles tested at Woomera. (And now, of course, it's better known as a "look" by model Derek Zoolander). This might seem incredibly trite ...... but I was thinking recently that much of the machinery we use in our everyday lives is hidden from us by shells and bodies and casings. Like clocks, cars, and microwaves ovens, and air-conditioners, fridges, washing machines, and mobile phones, cameras, computers and televisions. We can't see the mechanical bits working because they're covered by white metal or grey plastic. This is the insides of an air-conditioner. Just look at all those bits. For an archaeologist of the contemporary past, this means that even though we are very familiar with what these machines do and their social role in our world, we might not necessarily recognise the bits of one if it were deprived of its outside and falling apart on a site. Perhaps I assume too much here, but I certainly can't automatically identify bits of modern machinery. I'm probably more expert in early colonial artefacts and lithics. Artefact from Orroral Valley NASA Tracking Station, 2010. I mean, what is this? Is it part of an air conditioner? Up until the point where machines left big factories and became part of domestic life, most decaying buildings had easily recognisable artefacts which didn't have hidden insides, like ceramics, nails, cutlery, buttons, bricks, bones; I could go on but you get the picture. Stone tools, faunal remains, all that stuff we are taught to identify and record as students. 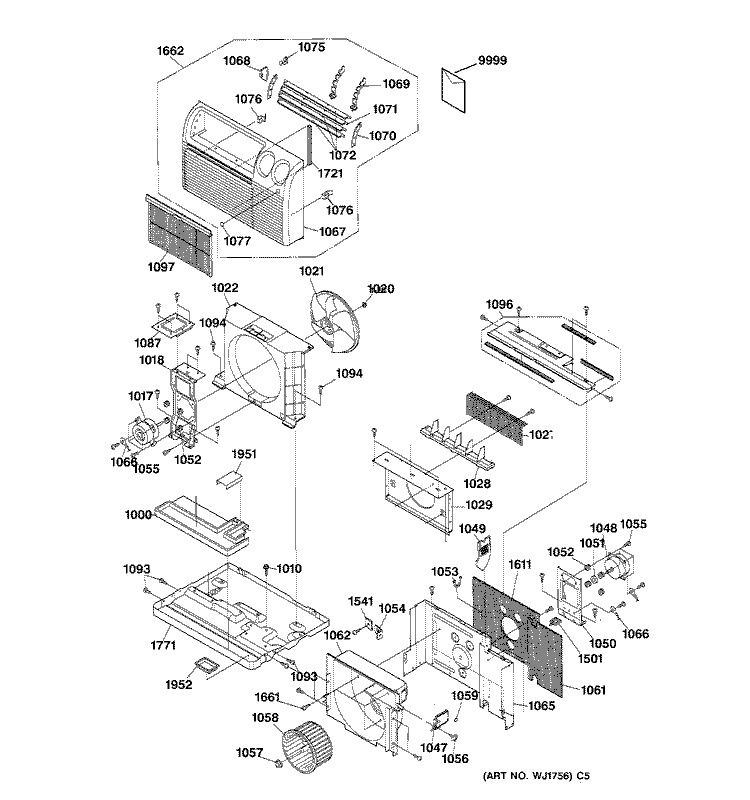 No-one teaches us what the parts of a television are. This isn't even starting on specialist machinery, electronics, and the fact that these technologies change over time. Some experimental work is needed, possibly involving a hammer and some op-shopping. Any volunteers? (Possibly it also involves acquiring manuals for these things. Hmmm. Not looking forward to reading those). Last year, the 17th ICOMOS General Assembly approved the 'Dublin Principles' for the the Conservation of Industrial Heritage, Sites, Structures, Areas and Landscapes. The Principles are the joint work of the International Council on Monuments and Sites and the International Committee for the Conservation of the Industrial Heritage (TICCIH). This is naturally of interest since it covers the material culture of space exploration, which, despite the romance of rockets and astronauts, is about as industrial as you can get. You can find the final text here. The industrial heritage consists of sites, structures, complexes, areas and landscapes as well as the related machinery, objects or documents that provide evidence of past or ongoing industrial processes of production, the extraction of raw materials, their transformation into goods, and the related energy and transport infrastructures. This definition is both broad enough and precise enough to apply to space complexes consisting of terrestrial and orbital/planetary/interplanetary components. The interdependence of 'multiple site operations or systems' is emphasised in a few places in the Principles, and I think this is important, both as a feature of industry in a globalised capitalist world, and as a management principle - you can't just consider a site in isolation: the connections are part of its significance. The definition does not mention time frame, but the introduction makes clear that the focus of the Principles is the heritage of the Industrial Revolution and the modern world. Note also that documents are both sources of information, and part of the evidence: both artefact and research tool at the same time. The significance and value of industrial heritage is intrinsic to the structures or sites themselves, their material fabric, components, machinery and setting, expressed in the industrial landscape, in written documentation, and also in the intangible records contained in memories, arts and customs. A frequent question I get when I talk about space stuff to non-archaeologists is why we need to keep the actual material when we have (often) the maps, plans, photographs, documents, etc. The answer is simple. Words and drawings can lie. Well, they can be inaccurate, or represent something only from a particular perspective (both in the drawing sense or the point of view sense), or omit critical information. (These inaccuracies, perspectives and omissions are themselves interesting to study). And anyone who still thinks that a photograph in some way represents an objective reality needs to get with the programme. That's not to say that photographs are not incredibly important as historical documents; only that to see them as standing in for the actual object or place is very naive in a 19th century spiritualist kind of way. Yes, scientists, I'm talking to you, with my humanities hat on. So the fabric, the physical stuff, is important. Where a document of any kind does not tell us what we need to know, or we want another perspective, we need to go back to the original thing. This statement also picks up on the importance of the setting (following the Burra Charter) and the intangibles. Research and preservation of documentary records, company archives, building plans, and specimens of industrial products should be encouraged. The evaluation and assessment of documents should be undertaken by an appropriate specialist in the industry to which they relate to determine their heritage significance. This is about encouraging corporations and industries to value their own history and heritage, and preserve the company archives. I've certainly had the experience of contacting a manufacturer to enquire about particular documents or archives, only to find that someone has chucked them out just the week before because they were taking up space, or they've got lost in some building move, or a recent employee isn't even aware of the company's history or significance. The second part of the statement above acknowledges that modern industries are so complex and specialist that a heritage manager can't, by themselves, hope to gain a good understanding of what documents mean and why they might be significant: an industry specialist should not only be consulted, but should evaluate and assess these documents. II. Ensure effective protection and conservation of the industrial heritage structures, sites, areas and landscapes. This protection should occur through legal, policy and administrative measures, while remaining aware of the rules for corporations and investments, trades or intellectual property such as patents, and standards applicable to active industrial operations. In other words, the relationship of the heritage to the contemporary industry. Not something you really have to worry about with other kinds of heritage. 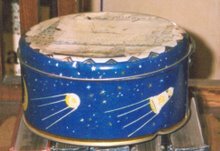 Are there legal measures for the protection of space heritage? It depends where you are. Some countries have heritage legislation that only covers things of a certain age, for example, over 100 years old. So contemporary industrial heritage may only be protected by legislation when enough time has passed, by which time sites may have been demolished and built over, vandalised, recycled, etc, and the knowledge, customs and memories associated with them have passed away with the people who worked there. (See below for more on time frames). Heritage legislation may also not cover the extra-planetary components of a place or site, if we consider them to be connected, which we do. This is where heritage, which is usually legally protected at the national level, comes up against the Outer Space Treaty 1967, which makes it impossible for national jurisdiction to be extended into space. There is a legal, administrative and policy gap here. This is a very practical bit: Integrated inventories and lists of structures, sites, areas, landscapes, their setting and associated objects, documents, drawings and archives or intangible heritage should be developed. So we need to know what's there, and we need to integrate the documents with the physical stuff and with the intangible stuff. This recognises the complexity and interconnectedness of industrial processes, as well as the distinct nature of the contemporary past: as Harrison and Schofield (2010) have pointed out, something that characterises the contemporary archaeological record is the superfluity and abundance of information and artefacts of all kinds. Because the passage of time has not yet removed massive chunks of the record through decay and destruction, we have so much stuff that needs to be understood; almost too much stuff. For ongoing industries, heritage management should be integrated with their operation and recognise that this operation may in fact carry heritage value. The machinery, fittings and related objects are just as important as the actual buildings. This is crucial, as frequently such places are approached from an architectural perspective only, and the movable stuff gets sold, scrapped or recycled elsewhere. Not to say that these options might not sometimes be appropriate - there is something nice about the re-use of industrial materials - but losing them may diminish the significance of the buildings too. Legal and administrative frameworks should be developed to enable authorities to respond quickly to the closure of operating industrial heritage sites and complexes to prevent removal or destruction of significant elements such as machinery, industrial objects or related records. The classic example of this is the Woomera launch site in South Australia. At the end of the Europa and Apollo programmes in the early 1970s, infrastructure was demolished, sold for scrap, reused by the Centre Nationale des Etudes Spatiales at the Kourou launch site in French Guiana, and sometimes destroyed in frustration and despair by those whose dreams of space had been sold down the river by the perfidious Brits. III. Conserve and maintain the industrial heritage structures, sites, areas and landscapes. Adaptive reuse is highlighted as a way to sustain an industrial place while respecting the fabric. Following the Burra Charter, physical interventions should be reversible and documented. If places or machinery have to be dismantled, they should be thoroughly documented and oral histories done. IV. Present and communicate the heritage dimensions and values of industrial structures, sites, areas and landscapes to raise public and corporate awareness, and support training and research. This also is standard fare - interpretation is an important part of heritage management, for many reasons: to justify the resources used in undertaking heritage work; to give a product back to the community; to engage the community in their own heritage. Here again we see the view that companies (corporations) do not value their own heritage and need to be supported in this. Public awareness is, in the context of industrial heritage, of a different order to other kinds of heritage. The industrial is often constructed as opposed to some kind of generalised bucolic idyll that is unconsciously held to be more related to the 'natural' human spirit than the gritty, filthy, coal and disease-ridden industries that existed only to screw profit out of people and the earth. I think there are social memories of the industrial revolution that evoke negative responses to industry, even now. I guess I am articulating this for the first time in my head, so I haven't fully thought through what this means, but I think there is some kind of truth in it. Industry is the opposite of what many people consider heritage to be. And yet, in terms of working lives, industry engages and mobilises huge numbers of people who have knowledge, memories, practices, rituals, and frequently great pride in their work. They just don't necessarily think of it as having heritage value. Programmes and facilities such as visits of active industrial heritage sites and the presentation of their operations as well as the stories and intangible heritage associated with their history, machinery and industrial processes, industrial or city museums and interpretation centres, exhibitions, publications, websites, regional or trans-boundary itineraries should be developed and sustained as means to raise awareness and appreciation for the industrial heritage in the full richness of its meaning for contemporary societies. These should ideally be located at the heritage sites itself where the process of industrialisation has taken place and can be best communicated. Wherever possible, national and international institutions in the field of research and conservation of heritage should be empowered to use them as educational facilities for the general public and the professional communities. Saturday night. A quiet one in - I have a number of graduate students' thesis and report drafts to work through, and I'm thinking I might catch a bit of Graham Norton later in the evening. Debating whether to open the bottle of red I ended up with at the Flinders Archaeological Society's Quiz Night at the Adelaide Gaol, Wednesday last week. Might not help me appraise the students' data analysis with acuity, though. 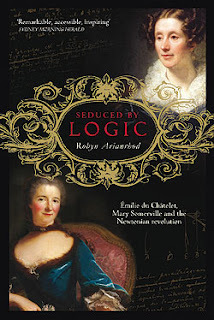 On Thursday I got a new book, Robyn Arianrhod's Seduced by Logic. Emilie du Chatelet, Mary Somerville and the Newtonian Revolution (University of Queensland Press, St Lucia, 2011). I'm a sucker for a bit of mathematics, and with some girlie brainboxes thrown in, a good read is sure to be had by all. (Also, it features Voltaire). A few years back, I was cheeky enough to write about gravitation myself (The Gravity of Archaeology, 2009, Archaeologies 5(2): 344-359). I'm sure I'd never get anything about gravity published in anything other than an archaeology journal, despite an invitation from the Journal of Modern Physics to contribute to a volume on cosmology and gravitation! I guess what fascinates me most about gravity is just how mysterious it really is. In high school physics, you learn about mass, gravity, velocity, acceleration, entropy, etc, and have to solve endless tedious problems about them. As a kid, you don't really question any of it. Years (and years) later, I find myself troubled by these questions. I mean, what is mass, really? And force? If you called them something different, would you think differently about them? I suppose one of the values of literary excursions into the history and philosophy of science is that they afford you new ways to conceptualise things and make the links between them. Reading Arianrhod's book, I found myself musing that one of the virtues of Einstein's general relativity was that it explained the spooky action-at-a-distance aspect of Newtonian universal gravitation. (And it was Newton who made space empty - because he had to get rid of ether as an explanation for the motions of the celestial bodies. But what are stupid gravity particles if they're not ether? Anyway I don't think gravity can be a particle. It has to be a movement). And that thought recalled to my mind a book I haven't finished reading yet, by famous Australian postmodernist Elizabeth Grosz. Can't remember what it was called even, it's buried under a pile of papers in my office. (Actually it might be this one: Space, Time and Perversion: Essays on the Politics of Bodies, 1995). In one passage, Grosz is talking about scientific theories. She describes how Einsteinian gravity replaced Newtownian gravity, as if they were just so many Kuhnian paradigms. And I thought (earlier in the year as I was reading it), that's not right. One didn't replace the other, that's not how we think about it. We don't study Newton as a historical curiosity. (And I was already constructing myself as part of the 'we', unconsciously, no Lizzie, you're not one of us, you don't understand). Then I thought more about it and wondered if I was wrong. That there was some fundamental incompatibility between the two, rather than perhaps a slightly uneasy sliding of frames of reference sometimes. I always thought it was just that you used the equations or the approach that suited the problem at hand, you didn't just declare Newton was WRONG and get all quantummy about it. And, by implication in Grosz's book, science was also wrong, as we just couldn't get anything right the first time. OK, so this is a caricature of Grosz' description; but the main thing that struck me, assuming the understanding I had of these things since a kid wasn't itself totally off the mark, was that she just didn't get how it worked. Maybe you don't question it at school, but if you grow up in the sciences, then there are ways of approaching things that you don't even know you have until something calls it into question. From this I conclude that it can be really hard to understand science if you have not already been steeped in it. Lordy. I think I will open that bottle of red after all. Well it was all a bit exciting really. Unfortunately I had a lot of trouble with the Australian feed from Alice Springs, and not just because a road worker had accidentally cut the cable. Even though they were supposed to be getting the best quality images, all I could find when I checked the site was pictures of someone's car boot. So we watched the Hawai'i feed in my Transit Lounge here at Flinders University. The Hawai'ian dudes had some interesting commentary and I liked their casual approach. People dropped in and out of the Venus Transit Lounge throughout the day. I wouldn't say I was any kind of expert on the Transit of Venus, despite it being my favourite planet, but all the same I found myself explaining various points and features to the assembled science lovers. Jennifer McKinnon took this photo and supplied the caption! In Humanities Room 281, all day! Sometimes simple thoughts can take a long while to catalyse. Last year, Dr Jonathan Bollen, Head of Drama at Flinders, did a joint seminar with me based around the ideas in Michael Shanks and Mike Pearson's Theatre/Archaeology (2001). Among other things, I remember talking about the spectacle of the rocket launch and the fact that a rocket is actually a very ephemeral entity, only being assembled prior to the launch, and disintegrating during it as the various stages separate. All of this is watched by people in control rooms, tracking stations, and at the launch site, as you see in the photo below. 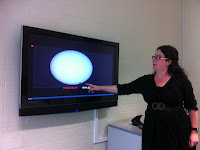 On Tuesday this week I gave a guest lecture to a Screen & Media class about Indigenous media. For this, I looked at how Aboriginal groups in Canada and Australia had used satellite television creatively to support their cultures. 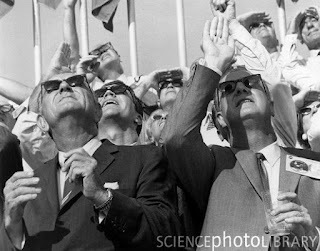 As historical background, I mentioned the concomitant growth of global television with the use of the geostationary orbit, as exemplified by the estimated 600 million people who watched the Apollo moon landing in 1969. And today, I'm having a 'mini writing retreat', locked away in a bare seminar room with one of my students. I'm reading a PhD thesis by Fiona Campbell and Jonna Ulin called Borderline Archaeology. 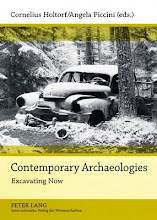 A practice of contemporary archaeology - exploring aspects of creative narratives and performative cultural production (Gothenburg Archaeological Thesis No 29, Goteborg, Sweden, 2004). Unlike some other phases of history, archaeological studies .... should be undertaken as soon as possible after the events have occurred, for their evidence is found not so much in documents reasonably sure of long preservation, but in perishable materials and alterable localities. David Schneider has described performance as 'organised human behaviour presented before witnesses' (Campbell and Ulin 2004:26). 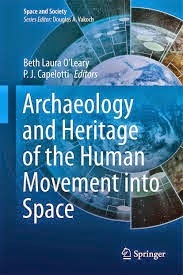 I was thinking of Tranquility Base while reading all of this, particularly as Beth Laura O'Leary and I have recently finished writing a piece where we talk about the archaeological value of Tranquility Base as a site. I thought to myself: the entire Apollo moon landing was a performance by this definition, being organised to the most minute level, and witnessed by the largest audience in human history. And in fact, looked at from this perspective, the structure of the site is dictated as much by the requirements of the performance as the actual scientific work that was to be carried out there. Or perhaps it is truer to say that the actual scientific work cannot be separated from the performance of being the first humans on another planet. There's also, I think, a fine dividing line between being witnessed, and being surveilled. The astronauts' bodies were being constantly monitored, as were their every action and word; they had a tight script for all actions they undertook and what they said was of the utmost importance. The stage and the prison of their suits and lander were one and the same. 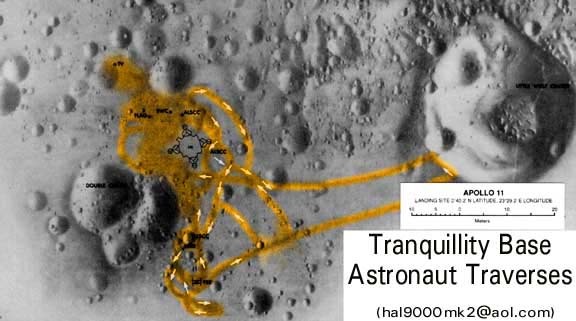 This perspective makes me see a new dimension to how one might analyse the actual traces left at Tranquility Base, the bootprints, tracks, furrows, pits, discarded materials. I would always have argued that this was an archaeological site like any other, that can be mapped and analysed (well, if one could do this remotely), but exactly what we could learn from this, I wasn't entirely clear. One obvious thing is the difference between what the astronauts actually did and what they said they did, but I don't know why we want to know that ... and of course there are no similar sites to compare. Maybe this is partially the problem. But hang on. We do have similar sites, just on terrestrial landscapes. We do have places where humans landed in hostile, unknown environments and carried out a series of actions, frequently with some scientific objective (eg Cook and Banks, that French bloke in Tasmania), and sometimes watched by Indigenous and other inhabitants. Would it be interesting to compare the use of space in such places? Did the strangeness of the environment make people move carefully and always within view of each other, for example? But to get back to my main point, if I think of Tranquility Base as a performance dictated by the needs of the witnesses, then the trails left by the astronauts tell us something about the expectations of those witnesses, scientific, political and public, rather perhaps than the agency of the astronauts themselves. In this sense, can we compare their movements to those of robotic missions on Mars? Are there any similarities or differences between human and robotic engagements with planetary landscapes and is there anything interesting to be learnt from this comparison? Beth O'Leary makes the point that at Tranquility Base we have a well preserved site which can be viewed remotely, together with the documents of the mission AND the film footage. This is a rare opportunity, then, to study the site as a performance: to compare the experience of different witnesses who have access to different versions (the astronauts see each other, the public see it on television, the tracking station and NASA staff see the raw data, the journalists edit and re-represent it), taking as one of those versions the site as it becomes after the astronauts leave: a flat, two-dimensional record of a multi-dimensional event which took place over many hours, a lasting trace of ephemeral movements and intentions. Ganong, William F. 1899. A Monograph of Historic Sites in the Province of New Brunswick. Proceeding and Transactions of the Royal Society of Canada 2.